This was from an in-studio shoot we did before I went to compete for Miss North Carolina USA, and I just loved the lighting for this photo. 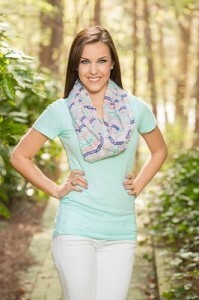 Marcie Trivette is a representative of the State Capital as Miss Raleigh USA 2014. Marcie has been walking for Autism Speaks since 2010. She walks on behalf of her younger brother, Karsten, who was diagnosed with high-functioning Autism, (also known as Asperger's Syndrome). I’ve done a number of shoots with her, and the sessions are always a lot of fun. I use photographs for all sorts of things: my website, social media, headshots for speaking engagements, autograph cards, etc. Working with David & Brenda has been more of a friendship. They were kind enough to sponsor me for the Miss North Carolina USA pageant this year, and in return I wanted to help publicize his business. I am a true believer in shopping local, even when it comes to photography. He has an idea in his head before I even arrive to the studio. And, once I’m there he even bounces things off my own ideas. Plus, he lets me listen to my Pandora stations. Haha! David is always out and about in Raleigh, just like me! I can’t tell you how many times I’ve run into him at events. 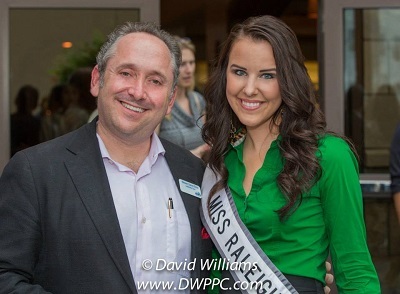 He captured this photo of Steven David Elliot and I at one of the North Hills Networking events. I love having these memories to look back on. This photo is from the most recent shoot I had with David. It was great working outdoors at the new studio, and getting to have some more casual images. "I can’t thank David and Brenda enough for all they have done. They have become like family to me. David is a skilled and innovative photographer. Raleigh is lucky to have him."